There are WA Instructors running Hang Gliding, Paragliding and Trike courses right now! So get involved. Are you a pilot who flies in WA? Send us your favourite photos, so that we can add them to our photo gallery. Click on the link below and share the joy of flight. 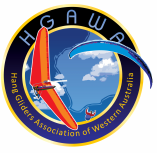 This site is a dedicated portal for the recreational sports of hang gliding, paragliding and trikes in Western Australia. This site is intended to be non preferential to wing type or club affiliation, acting only as a first point of contact and information. Feel free to contact any of the clubs, businesses or association members for further information. You'll find all of the people involved in the sport are friendly, approachable and more than happy to help. If there is a club, website or other information you feel should be included in this portal, please contact the email address shown below.